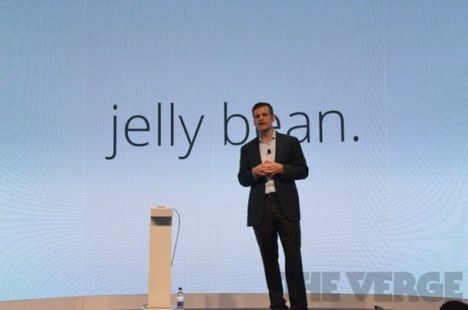 Motorola has announced that for most of its latest Android smartphone, the 2011 models will get 4.1 update. No Motorola Android 4.0 smartphone has been? Motorola should not be able to keep those promises, they want to pay the user U.S. $ 100.00 as a credit for a new Motorola smartphone. A smart move by Motorola, I think. The company has in the past not exactly covered itself with glory when it was Android updates. Too often it has been promised, rarely was the promise kept. The most prominent example of this is the Motorola RAZR, Android 4.0 is expected for months, but the update repeatedly postponed. My view has also been no known me get Motorola Android 4.0 smartphone. If I'm wrong, I better calm ;-) However, this is a bold promise, Android 4.1 on "almost" roll all 2011 Motorola smartphone models. But perhaps there is also currently yes, Motorola held a rethink. You can tell that is that you, the customer can only hold, if you offer updates in reasonable periods of time. I'm curious if it really creates Motorola, for most of his last year's Android 4.1 smartphone models really offer an update. Previously, Motorola, after all, the inventor of the mobile phone, not exactly known to keep his promise to update.